The Island at the End of Everything – Book Review! After reading Simon Vs, I wanted to stay on the charm train for this years Booktube-A-Thon. I also wanted to start a book that felt different. The Island at the End of Everything was the perfect choice. I enjoyed reading this heart warming and emotional novel. This book excited me because I really enjoyed the previous book from the author – The Girl of Ink and Stars. Here is my review for this beautiful story! Living on an Island has been the only way of life Ami has ever known. She lives with her mother and they are very happy together. But their way of life may be crushed by a wicked man from the government – Mr Zamora. When he arrives, he announces that their island shall be turned into an Island for lepers. Anybody under the age of 18 who are clean shall be shipped off and separated from their families. At only 12 years old, Ami will need to come to terms with leaving her mother and the island she calls home. They promise that they will send each other letters every day until they see each other again. With a broken heart, she is soon making the unbearable journey across the sea to start a new uncertain life at an orphanage. There, the other island children and herself are shunned constantly by the man who removed them in the first place. Children from the orphanage also don’t know what to do with their “dirty” new arrivals. But one girl stands out from the rest. A girl with honey eyes and light flyaway hair. Named for butterflies, she befriends Ami and slowly becomes the only friend she’s ever known (besides her mother). Soon they discover a secret that Mr Zamora tried so hard to hide. Ami needs to go back to her Island. Together, they plan their journey back to her home. Will Ami be able to make it in Time? Back to the Island at the End of Everything? The Island at the End of Everything was a heartwarming and emotional roller coaster ride. The way that Hargrave tackled the themes in it were perfect. Right from the start, I was hooked on the the leprosy theme and what life was like on Ami’s island. Ami was a beautifully developed character. I grew incredibly close to her and my heart broke on several occasions. Her closeness to her mother was uplifting and it was super difficult to read through their separation. I’ll be honest, I welled up with tears. No child should have to go through such trauma! I also really enjoyed her friend, Mari. The way she saw Ami as a kind person, so she wanted to be kind to her. How touching! She was the outcast of the orphanage just because of her differences. But that did not stop Ami and her bonding and creating a beautiful friendship. What blew me away with this book was how well the theme of leprosy and people with disabilities were handled. The way that someone can act around others who are inflicted with an illness can be so cruel. Treating them like they are worthless. Mr Zamora was a heartless, disgusting and down right despicable character. How Hargrave developed his character to provoke such anger in the reader really was incredible. But the sad truth is that people can truly be like this outside of the book. It is quite shocking, and Hargrave made sure that feelings that were felt towards him were wrong. Even for disabilities, how people can be treated differently and made to feel like an outcast. This book really does make you think upon how nasty people can be to others. Just because society deems them different, doesn’t mean you need to treat them different! Overall I adored reading this book. It is filled with emotion, friendship, love and butterflies. Oh did I mention the butterflies? They played a huge part in the story and they made the book feel so lyrical and magical and I loved that feeling. I did enjoy this book more than I did The Girl of Ink and Stars, but only just. Both books are great in their own way, but I felt like I could connect more to the story of The Island at the End of Everything. I personally believe that this book would be a fantastic read for the target audience of 8+. How lucky are young readers now with such incredible authors such as Hargrave? An absolute gem of a novel. 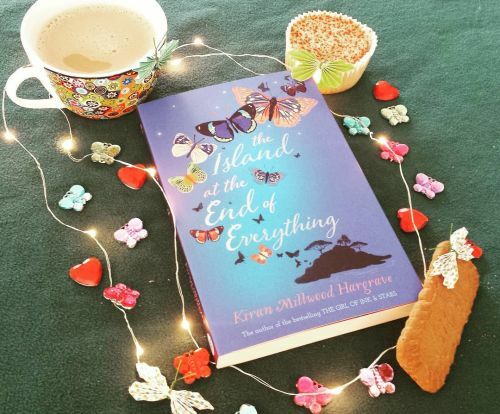 The Island at the End of Everything by Kiran Millwood Hargrave – An absolute flawless book about love and adventure and finding your way home, gets a well deserved 5 out of 5 flails! Next Next post: What Does Consent Really Mean? 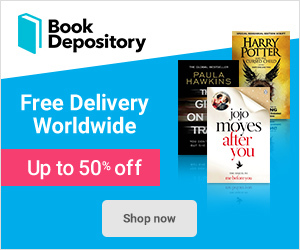 – Book Review!